We have a great deal to make savings at Giant! 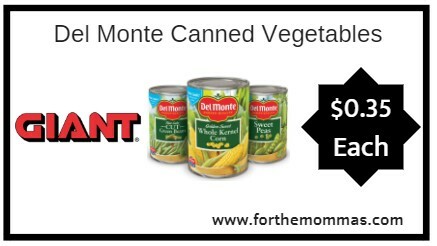 Thru 12/13, Del Monte Canned Vegetables will be priced at $0.60 each. Stack a Del Monte coupon with this deal to make the final price just $0.35 each.